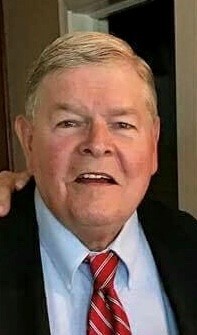 Robert "Bob" Charles Cooper, 75, of Union Mills, passed away on Sunday, August 5, 2018 at his home. Bob was born in South Bend, IN, on April 25, 1943 to Max Robert and Marcia O. (Hendrickson) Cooper. On March 26, 1976 in Mishawaka, IN, he married Karen Kammrath who survives in Union Mills. Also surviving are his sons, Beau (Misty) Cooper of Oakdale, MN and Zane (Lauren) Cooper of Plymouth, IN; daughters, Mackenzie (Derek) Wire of Indianapolis, IN and Chelsea (George) Leedle of Antioch, IL; grandchildren, Tanner, Harper, Dawson Leedle, Birkley Cooper, Abram Cooper, and Finnegan Wire; brothers, Tom (Ann) Cooper of South Bend, IN and Michael (Karen) Cooper of South Bend, IN; sister, Tami (Fred) Vest of Greenwood, IN; and 3 nephews, Corey, Justin, and Nash Cooper, Ryan Vest; and niece, Kailee Vest. He was preceded in death by his parents and a granddaughter, Gillian KC Cooper. he loved spending time with his grandchildren. A Celebration of Life Memorial Service will be held at 11 AM (CT) Thursday, August 16, 2018 at Cutler Funeral Home and Cremation Center. A time of visitation will be held from 4-7 PM (CT) on Wednesday, August 15, 2018 and from 10 AM (CT) until the time of the service on Thursday at the funeral home. Memorial contributions may be directed to Relay for Life of Marshall County, 130 Red Coach Drive, Mishawaka, IN 46545 or ASNCI- Camp Circle of Friends, PO Box 1537, La Porte, IN 46352.